Bernie Sanders' wife on Thursday said "it would be nice" if the FBI speeds up its investigation of Hillary Clinton's private email server. 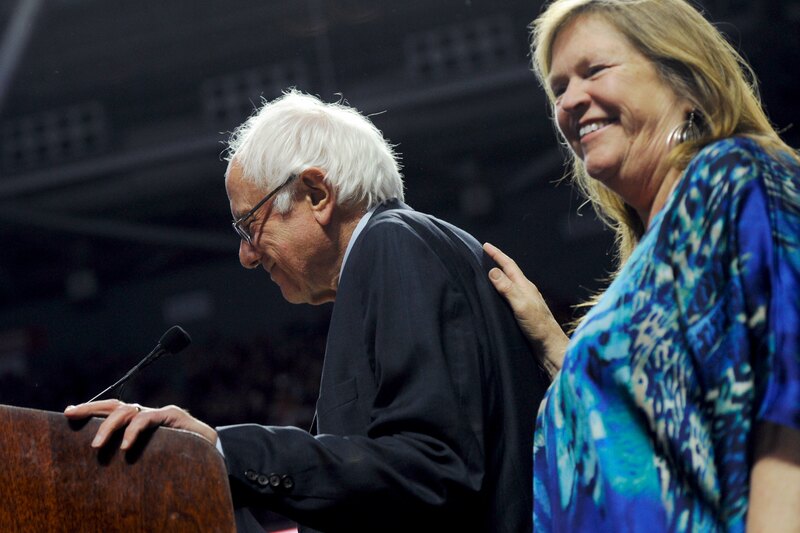 "We said right from the beginning, right after the debate where he said, 'enough of your damn emails,' he also said, 'there's a process...it's going forward,'" Jane Sanders said Thursday on Fox Business Network's "Cavuto Coast to Coast." "It's an FBI investigation...we want to let it go through without politicizing it and then we'll find out what the situation is and that's how we still feel. I mean, it would be nice if the FBI moved it along," she said with a laugh. The FBI has been investigating Clinton's use of a private email server when she served as secretary of state. Clinton has repeatedly said she's not concerned about it and said in early April that the agency had not reached out to her to schedule an interview over the server. That was just after the State Department announced it would halt its internal review of Clinton's emails and defer to the FBI. Clinton told CBS' "Face the Nation" in March that the email scandal was "moving toward a resolution" and predicted that the investigation was "getting closer and closer" to being complete. In the interview Thursday, Jane Sanders said that her husband and Clinton have "very different visions for America" and she complained that the delegate selection process isn't fair. "It doesn't seem fair that superdelegates can play such an outsized role," she said. "We don't like the concept of the superdelegates. It's pretty much an insurance policy for the establishment." This comes after Sanders only won one out of five primaries on Tuesday. He won Rhode Island while Clinton won Connecticut, Delaware, Maryland and Pennsylvania, expanding her delegate lead. According to CBS News' latest count, Clinton has 2,160 delegates and Sanders has 1,338.